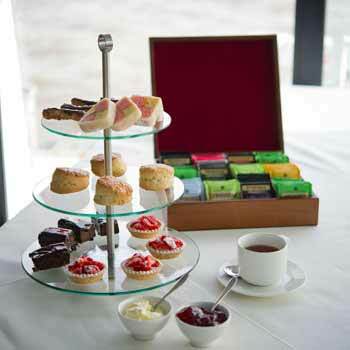 Lovely Afternoon Tea Experience Days and Gifts in beautiful surroundings from Greatest Gifts. 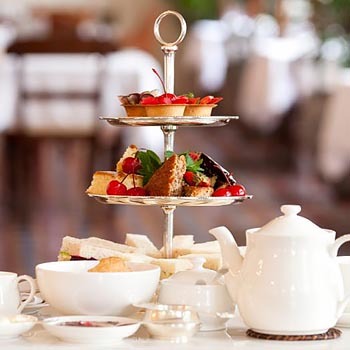 For nearly two centuries the British have enjoyed Afternoon Tea and the tradition has spread around the world as people partake in this thoroughly delightful and very social Afternoon Tea Experience. Normally taken between 2pm and 5pm it was in the beginning a much-needed small and light snack between lunch and dinner and was enjoyed by all classes in British society. The well-off enjoying cream tea, delicious cakes and tasty pastries and the poor working classes eating a quick sandwich or scone and butter with a large mug of strong tea to wash it down. The expansion worldwide of the British Empire enabled this pleasant and tranquil, peculiarly British, tradition to be exported to many countries all around the globe. 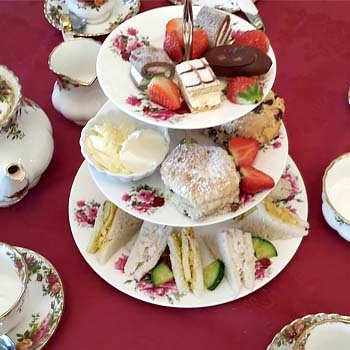 Today, with the availability of fast food, the Afternoon Tea Experience is regarded as a little luxury and this in a way this has added to its desirability for those in the population who have the time and the money to partake in the quaint activity. Afternoon Tea for Two can be for a very serious business meeting, a friendly social get-together or even a quiet romantic date. London has thousands of venues to meet and enjoy this very social activity and Afternoon Tea at the Ritz is among the most famous of all of these. The Ritz being one of London's finest five star hotels located in Piccadilly and overlooking the beautiful green Park. Another very famous hotel experience is Afternoon Tea at The Savoy. Again, one of London's best five star hotels and many people try both hotels and compare their experiences. There are also many variants on the theme, one of them being Champagne Afternoon Tea where a lovely flute of quality bubbly helps the whole occasion along quite nicely indeed. Have a look at our huge selection of attractive and special offers to choose from.